Furnaces- Used to heat your home. 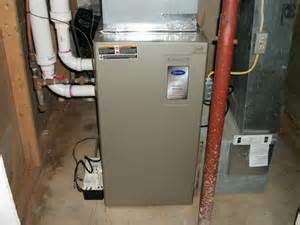 We install Carrier brand furnaces to heat your home during any of the seasons. These pictures should better help you understand how a Furnace is installed. Picture one- a carrier furnace after being installed. 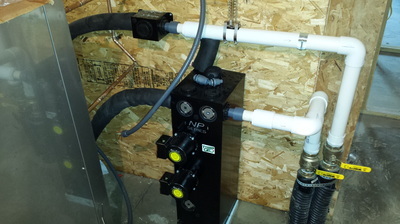 picture two is a Geothermal unit hooked up to the Furnace. 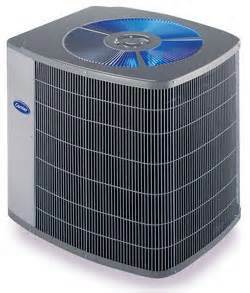 Air Conditioners- Used to cool your home. We also install Carrier Air Conditioners. The pictures below should better help your understanding of Air Conditioners. The first picture is a Carrier Air Conditioner.In common use, an air conditioner is a device that lowers the air temperature. The cooling is typically achieved through a refrigeration cycle, but sometimes evaporation or free cooling is used.